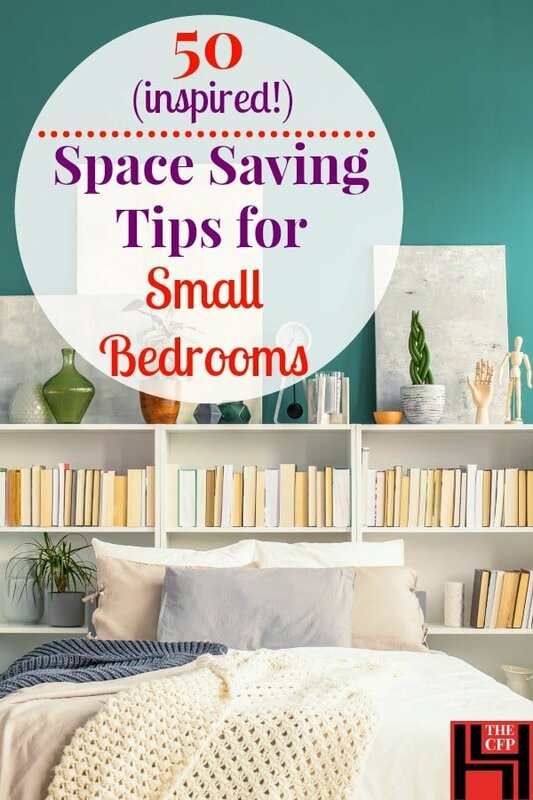 Your small bedroom isn’t just where you sleep, so how about some space saving small bedroom ideas to cover every function? We’ve compiled a huge list of small space tips and ideas to help you make the most of that tiny boudoir. A bedroom space is where you get ready for the day, store your clothes and accessories, and relax at night. Maybe it even has to double as a work space. So how do you do all that in a tiny bedroom space? The trick is to look for space saving bedroom furniture and be open to some unconventional small space solutions. 1. Choose beds with storage. 2. Build your own under the bed storage. 3. Raise your bed with a new frame. 4. 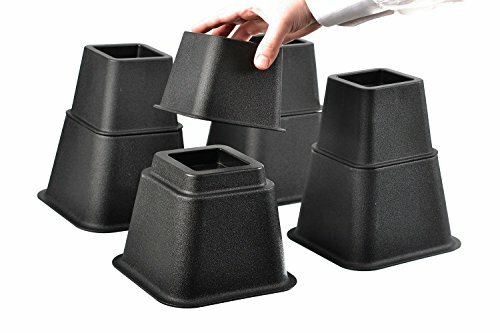 Raise your bed with simple bed risers. 5. Try a loft bed. 6. Mount a shelf as a floating nightstand. 7. Or mount multiple shelves. 8. Make a DIY hanging table. 9. Try a BedShelfie or caddy. 10. Use a lamp with shelves. 12. Invest in a closet organizing system. 13. 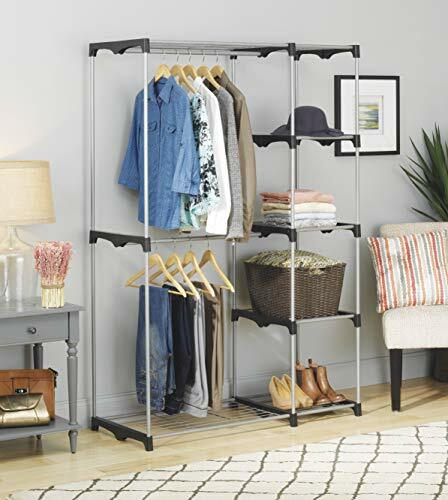 Piece together your own closet organizer. 14. Hang the clothing rod higher up. 15. Use the back of the closet door. 16. Hang hangers vertically with soda tabs. 17. Do the same thing with chains. 18. Install shelves to use the unusable spaces. 19. Use every little bit of closet wall space. 20. Hang a pegboard in your closet. 21. Buy a stand-alone closet already made. 22. Create your own stand-alone closet. 23. 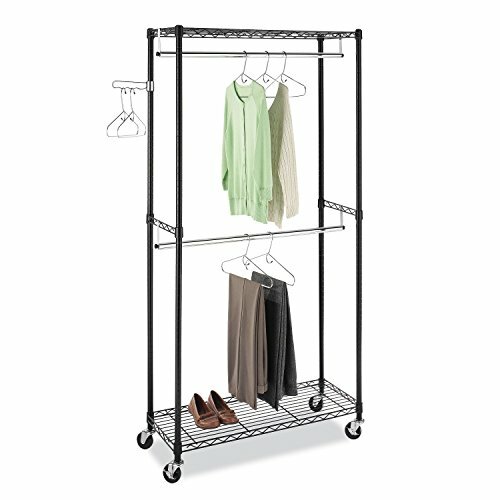 Make a corner clothing rack. 24. Hang a branch for a unique stand-alone closet. 25. Use a ladder as a clothing rack. 26. Make a tiny corner closet from an old door. 27. Store your clothes under the bed. 28. DIY your own under the bed storage with wheels. 29. 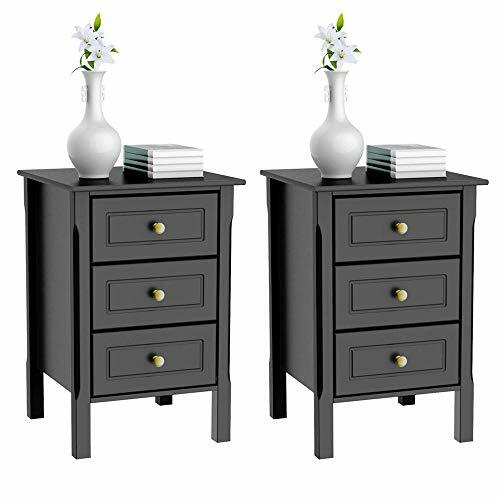 Use a nightstand with drawers as a dresser. 30. 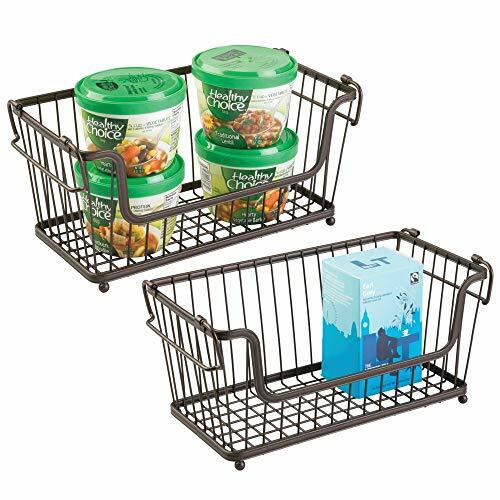 Use shelves and bins or baskets. 31. Utilize cubicle storage for clothing. 32. 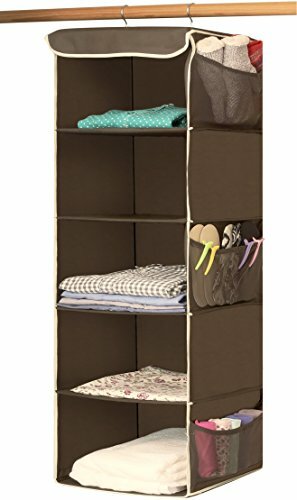 Store folded clothing on closet shelves. 33. Use plastic drawers tucked into a closet. 34. Use a hanging dresser. 35. Put a cube storage unit at the foot of the bed. 36. Arrange cubicle shelves like a headboard. 37. Put bookcases behind the bed. 38. Buy a headboard with storage. 39. Mount shelves to the wall above your bed. 40. DIY some narrow floating shelves for books. 41. Put your junk in a trunk. 42. Make DIY ladder storage. 44. Hang a floating desk on the wall. 45. 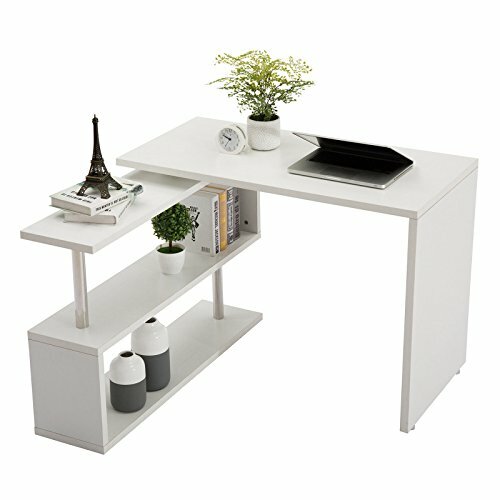 Buy a hideaway desk. 46. Use a shelf as a desk. 47. Or use a windowsill. 48. Try an over-the-door vanity. 49. Put a small desk at the foot of the bed. 50. Use a bedside table as a desk. 51. Use a corner desk (ok, 51 ideas). Beds with built in storage are great for small bedrooms because they can eliminate the need for a dresser in the room. I love the practical style of this South Shore platform bed with storage pictured above because it uses cubby storage instead of drawers. In a very small bedroom, there may not be room for drawers to pull out, so cubby storage works much better. For more bed ideas for small bedrooms, check out our space saving beds for small rooms article. If your the DIY type, it’s fairly simple to build your own shelves or cubby storage for under the bed. Check out the tutorial below to see how to do it. You don’t even need fancy shelves or cubbies to have a bed with storage. Good ole’ under the bed bins work just fine. You just need to raise your bed to fit them. One way to do this is with a Zinus raised bed frame. 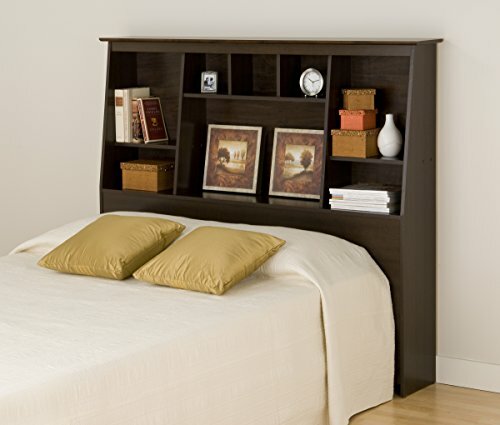 This is a sweet little product to add storage space to a small bedroom. 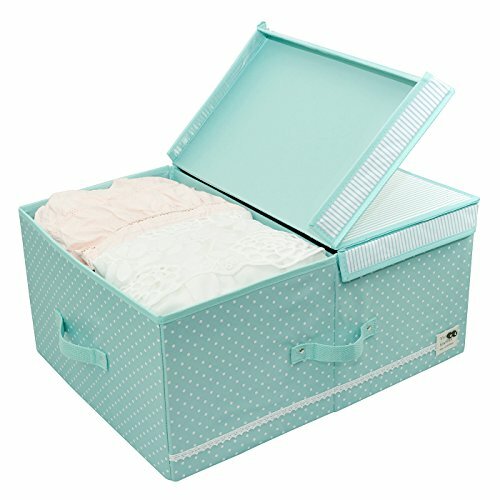 A regular bed frame is about 7.5 inches from the floor but this baby is 16 inches, and has about 14 inches of clearance for under bed storage. And the bonus is that you don’t need a box spring! Just use it with your existing mattress. 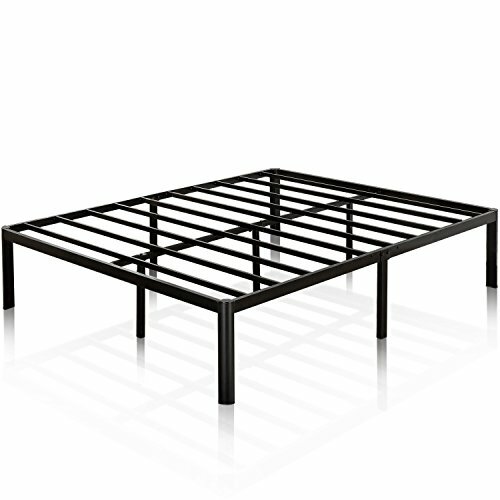 For a still cheaper way to gain storage space under your bed, use blocks of wood or bed risers to raise your bed. Simply place them under each leg of your bed. 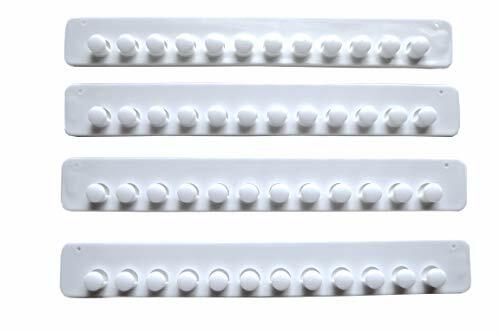 The ones pictured here have great reviews and are adjustable to different heights. I use similar ones under my small guest room bed and they do the trick! A cool space saving bed for small bedrooms is a loft bed. 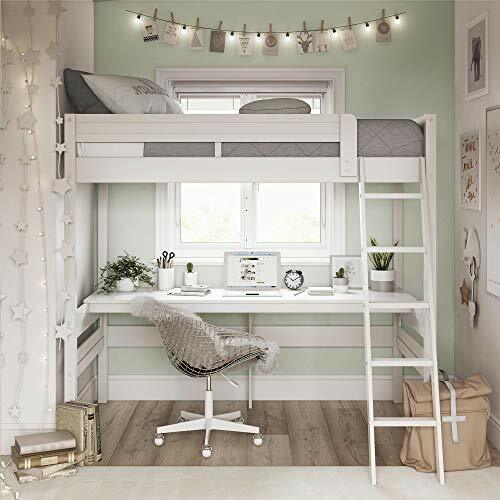 The Dorel Living loft bed pictured above features desk space beneath it, which is great if your bedroom doubles as a home office. You could also use the space as a vanity. Now granted, you have to be able to handle getting in and out of it, but if you can, a loft bed is a fantastic space saving solution. They utilize space very cleverly and look sharp, especially with a modern decor. Many come in full size too. No matter how small your room, a place near your bed to put stuff is a necessity. 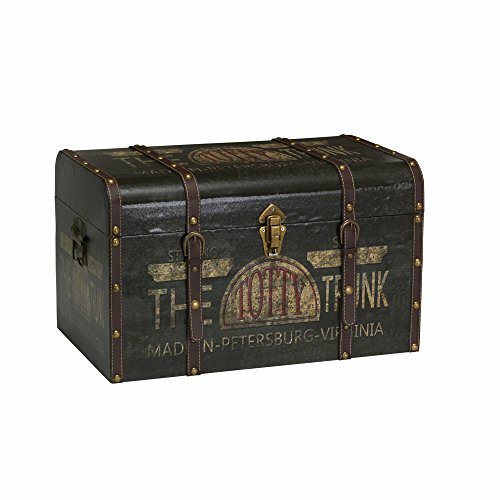 Here’s a few unique ideas. Sometimes a bedside table just isn’t possible in a really tight bedroom space, so a bedside shelf is a simple and inexpensive space saving bedroom idea. Why limit yourself to one little shelf? I love this bedroom space saving idea because it works as a nightstand alternative plus adds extra storage. And the ombre effect adds a fun pop of color! 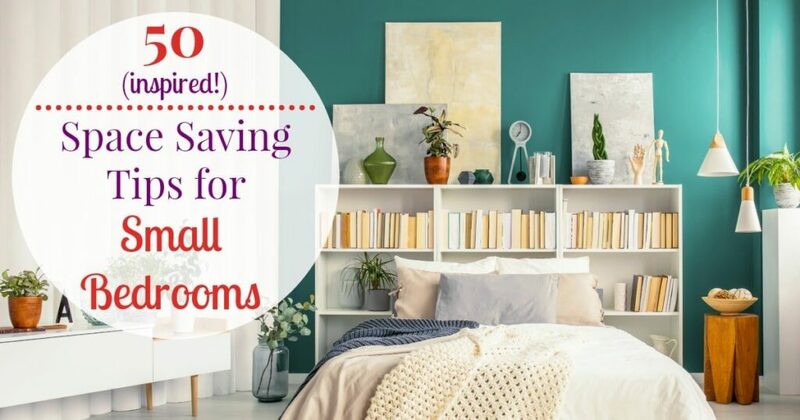 If you want to add a floating nightstand to your small bedroom, here’s a couple inexpensive shelves that would work. This is such a cool idea and a great look for a rustic or natural decor. Making it yourself ensures you get the exact size you need. Here’s the tutorial. Mounting shelves not your thing? Well, it’s a great time to be alive because guess what? You can buy a bedside shelf that attaches to the bed! The BedShelfie is the slickest space saving bedroom idea yet! 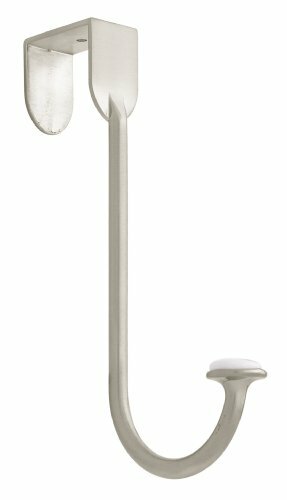 This AS SEEN ON TV success holds 15 pounds and has two notches to easily hold charging cables. It’s the perfect size for those bedside necessities and has rave reviews! The GoCoral Bedside Caddy holds everything you need, including a laptop and simply attaches under your mattress. 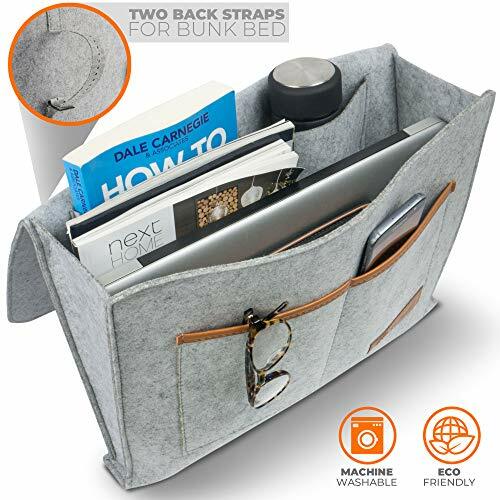 It has practical features, like holes for charging cables and straps on the back in case you need to attach it to bed rails. It also is very sturdy and holds 20 lbs. of weight. 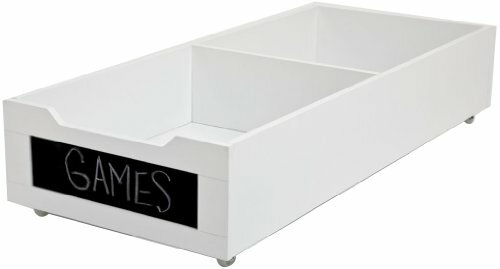 A bedside caddy like this is a simple nightstand alternative and an easy way to save space in a small bedroom. Multifunctional furniture is key to making the most of the space in any small room. 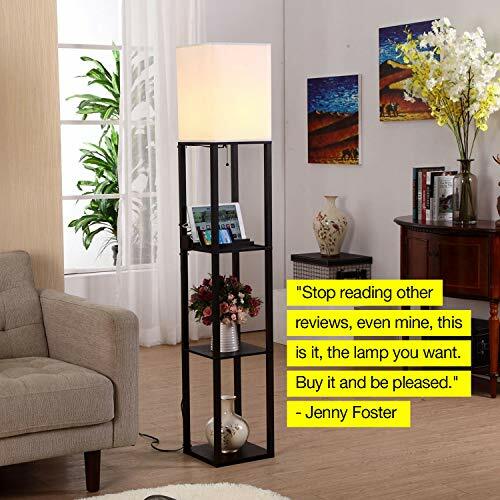 The Brightech Floor Lamp with Shelves not only offers lighting and storage, but even contains an electrical outlet and two USB ports! The two upper shelves are just the right height for convenient bedside storage and phone charging. This homeowner used her vanity table as a bedside table. You could do the same thing with a small desk or vanity and have a nightstand/vanity/desk all in one piece. Below are a couple inexpensive pieces that would work perfectly for this! Bedside Storage Tip: You don’t have to have matching pieces on both sides of the bed, as long as the final look is balanced. Tiny bedrooms typically have tiny closets. An organization system that’s unique to your needs is the key to making the most of the closet space in your small bedroom. First, think about how you use your closet. 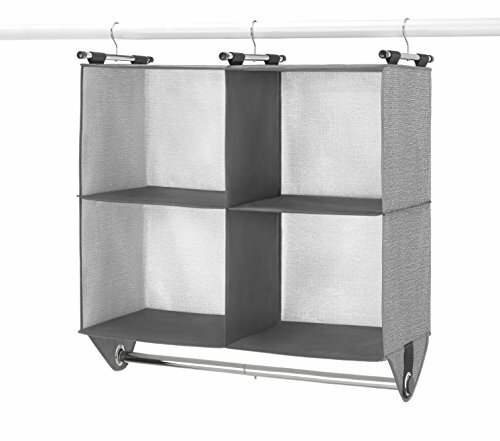 Do you need more room to hang things up, or more shelving for folded items? What takes up the most room. Shoes? Scarves? Purses? Luggage? Once you figure out the type of storage you need, it’s easier to find a solution. Here’s some ideas that can help. 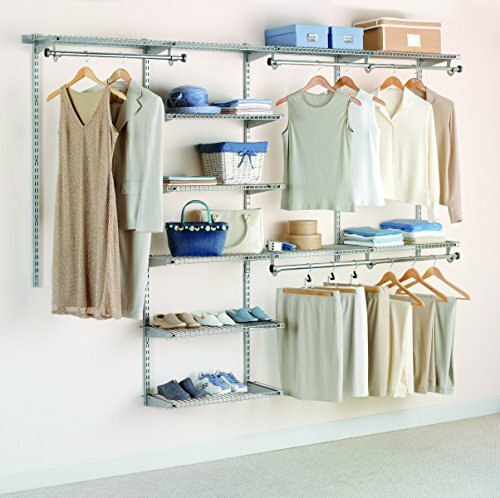 Closet organizer systems like this Rubbermaid Closet Systemcan be customized to whatever size or configuration works for you. 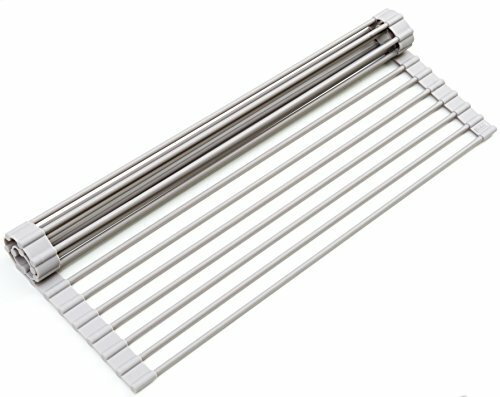 This one comes with all the hardware you need to install it, is pretty easy to install, and has excellent reviews. This is a terrific option if you want a done, out of the box solution that you can install yourself. You can easily piece together an organization system that works for you, like the homeowner above did. You might even be able to pick up some gently used closet organizer items at yard sales that would work. There’s oodles of organization products to help you design a custom closet system for a pretty low cost. Below are a few consumer favorites. 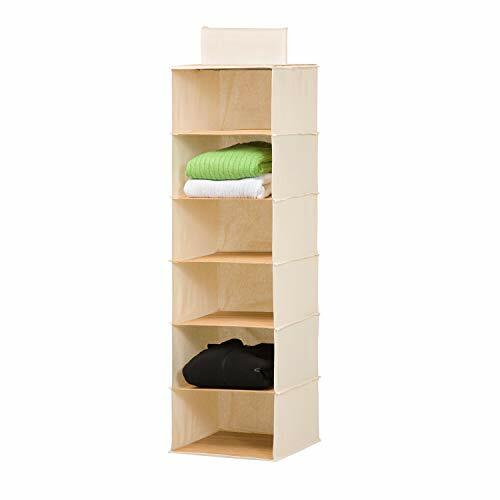 You might not have thought of this, but when the clothing rod is higher, it makes room for extra closet storage by way of a dresser, shelves, or cube shelving like this underneath. The back of the door gets overlooked, but it’s prime real estate when it comes to closet organizing and saving space in your small bedroom. Who’d have thought soda tabs could be so darn handy? When you use your closet space vertically as well as horizontally, it makes room for extra closet storage and is a real space saver in a small bedroom. No soda tabs or chains? 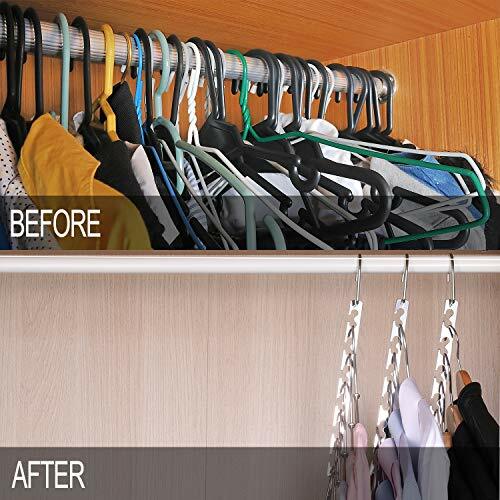 Buy some vertical hangers like the MeetU 6 pack of vertical hangers and quadruple your closet space in minutes! Those annoying sides and corners of your closet can be put to good use with some shelving. The pin above links to a DIY tutorial to show you how to build shelves in the corners of your closet and maximize that space. If you want to use your closet wall space effectively, I have one word for you: HOOKS! Use them for hats, belts, scarves, and jewelry. 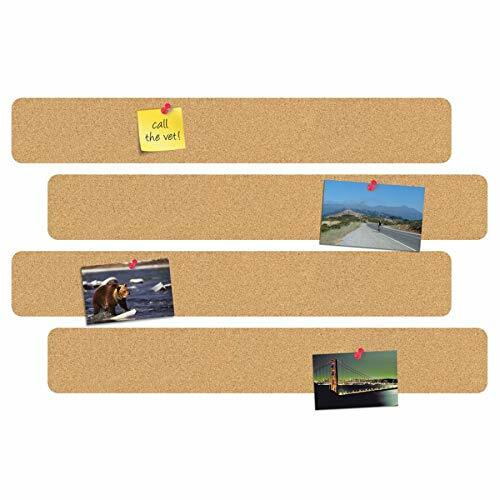 When it comes to small bedroom ideas, we have to mention pegboard. 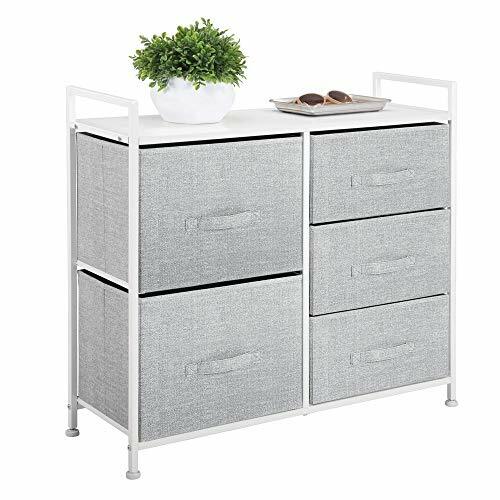 These are insanely useful in any room where you need extra storage space. The pegboard wall above gives oodles of extra closet storage, but even a portion of a wall with pegboard could be all you need. 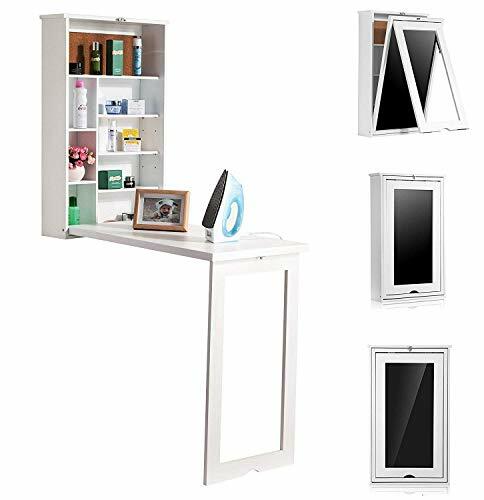 A stand-alone or freestanding closet like Whitmor Freestanding Closet is a relatively inexpensive solution if you have a bedroom with no closet or a very small one. 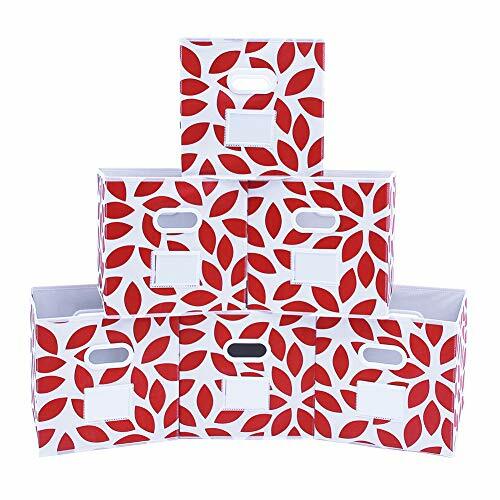 It can be customized with storage accessories like these cute polka dot decorative bins and patterned hat boxes. Not sure where you’ll put a freestanding closet in your small bedroom? Try it at the foot or head of the bed! Piece together your own version of the ready-made closet above with just a clothes rack and decorative shoe boxes, like they’ve done in the above image. Below are a couple products to get you started. DIY this corner rack using PVC pipe or a curved shower curtain rod. Here’s one of the cutest small bedroom ideas we’ve seen – a hanging branch clothing rack. Below is a simple DIY tutorial that shows how to make it. A ladder would make a really cute, sort of shabby chic, stand-alone closet. This blogger hung a ladder in her laundry room for drying clothes, but this idea would work in a bedroom for clothing and accessory storage. The tutorial for how to make a DIY clothing rack from a ladder is here. I love this idea because it’s a stand-alone closet and dressing area all in one! Brace an old door against the wall with wood strips, add a wire shelf, mirror and hooks and Voila! A tiny dressing area for your tiny space. Mom always said not to put your clothes under your bed, but when stored neatly away in containers like these, how could she complain? If you raise your bed up (see our #2 suggestion above), then there’s plenty of room under there for storage and it’s an easy dresser alternative that saves floor space in a small bedroom. We love upcycled stuff! Here’s a tutorial to make your own wheeled under the bed storage from an old bookcase. Remember (way back there) tip #11 – to use furniture that can pull double-duty? Use your nightstand as a dresser and store smaller things, like socks and undergarments in it. The pair of nightstands below are only about 15 inches wide, so they’re small, but with three drawers, there is still room for some clothing storage. And they are a great deal for the pair! One of the most important small bedroom ideas to remember is this: Go vertical! A bookcase with bins or baskets used as makeshift drawers is a smart dresser alternative in a tiny bedroom. 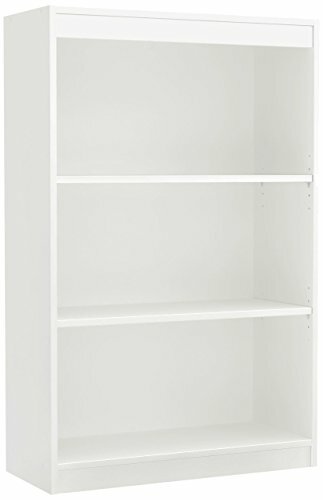 The image above shows cubicle shelves, but just about any bookcase would work. 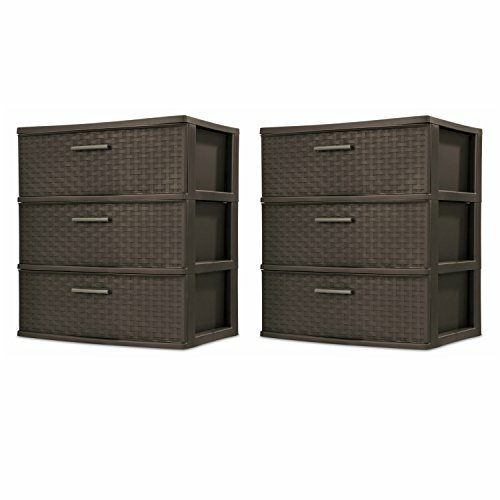 Speaking of cubicle shelves – these puppies are our favorite storage solution for almost any room in the house! The canvas “drawers” come in a huge variety of fabrics and materials, so they blend in with any decor. Another dresser alternative is to simply store your folded clothing on your closet shelves. 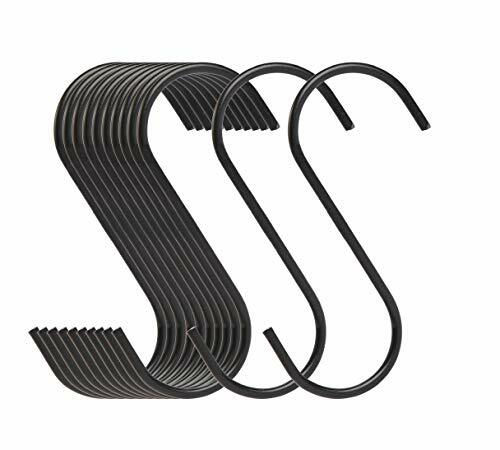 These closet shelf dividers will help keep your stacks neat and tidy. 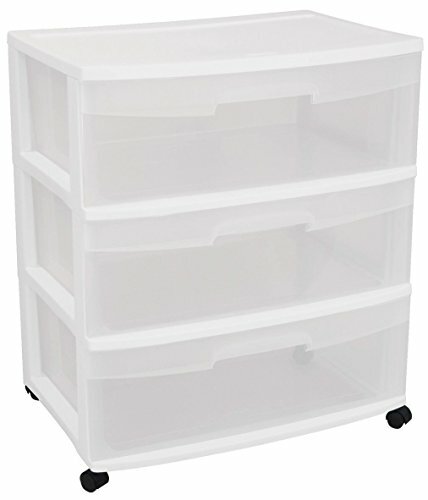 Those Sterilite plastic drawers don’t look half bad and can be tucked into a closet or other small space for clothing storage. They’re also very lightweight so they can be easily moved around in your home as needed. A fabric drawer organizer would work for this purpose as well. This one is only 11 inches deep, so could work well in a closet. 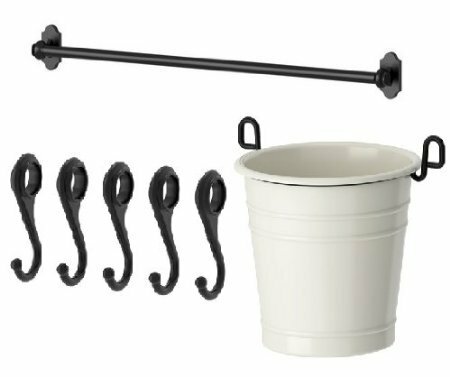 These canvas hanging organizers are like a compact 6-drawer dresser, but without taking up any bedroom floor space. 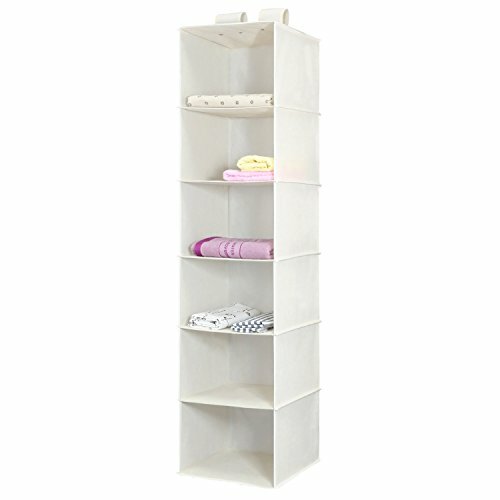 The 5-shelf organizer has handy side pocket storage and is a huge seller. Aside from clothing storage, there are books, personal and decorative items you might need to store in your bedroom as well. Here are a few small bedroom ideas to help you out with that. Have I mentioned yet how much we love these cubed storage units? Put one at the foot of your bed to add all kinds of storage space. 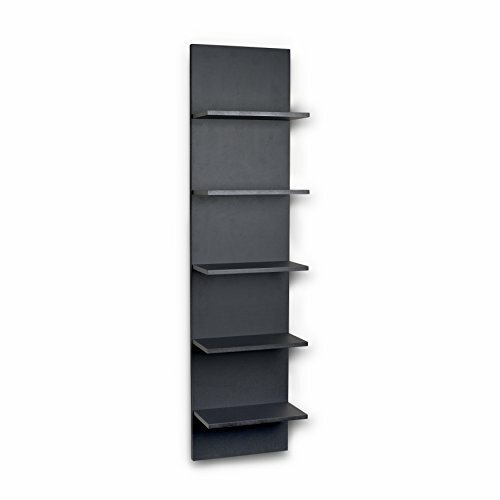 The 5-shelf cube by Better Homes and Gardens is perfect for this and it’s quite nice looking. 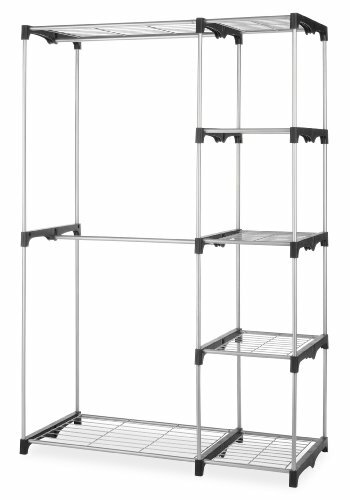 You could even go with an 8-cubed unit if you wanted something a little taller. 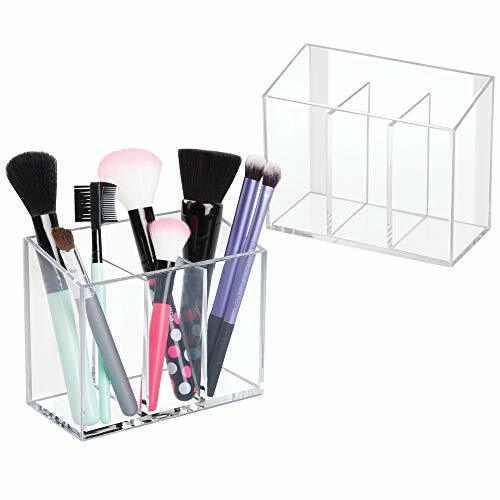 The beauty of these storage cubes is you can use them horizontally or vertically, so they are super versatile! This is one of the loveliest small bedroom ideas we’ve seen. It’s such a great look! Mount crates or wood boxes to the wall, like they’ve done here, for an all-in-one headboard and nightstands. Or, you could buy a few cubicle shelving units and arrange them strategically at the head of your bed for a DIY headboard with storage. 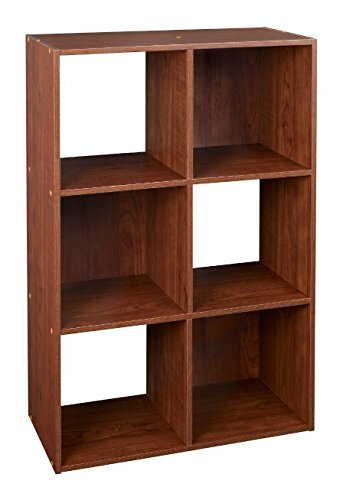 Bookcases similar to the ones below would work for this. 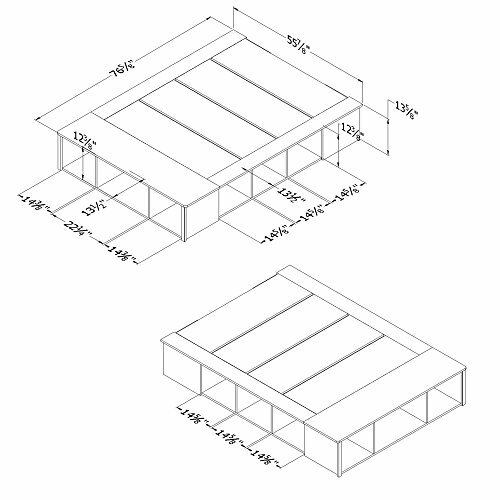 The bookcase height will depend on how low to the ground your bed is. You probably want a height of at least 43″. 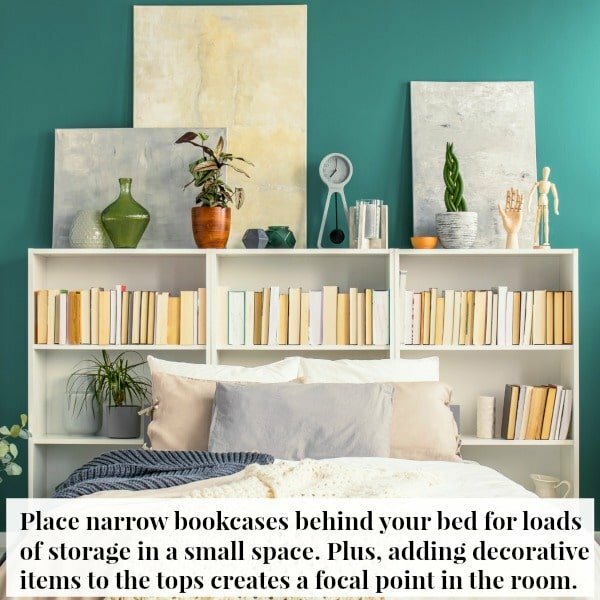 That area directly above the bed is unused space anyway, so a bookcase headboard is a smart piece of space saving bedroom furniture. I like that this one is tall, so there’s lots of nooks and crannies to tuck decorative and personal items. 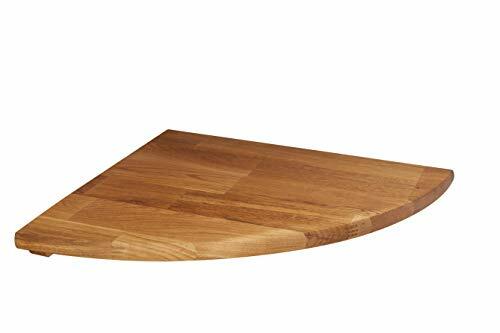 If you mount shelves above your bed, make sure they are mounted into studs and be extra cautious about what you store on the shelves, especially if you’re in an earthquake-prone area. In the image above, they’ve added under cabinet lights to make these shelves even more functional and eliminate the need for lamps. These floating bookshelves are great space savers as they can fit into a corner and are a pretty storage solution for books and magazines. You can read the tutorial to build these floating shelves here. OR you can buy some similar vertical shelves already made. I could hardly wait to type that. 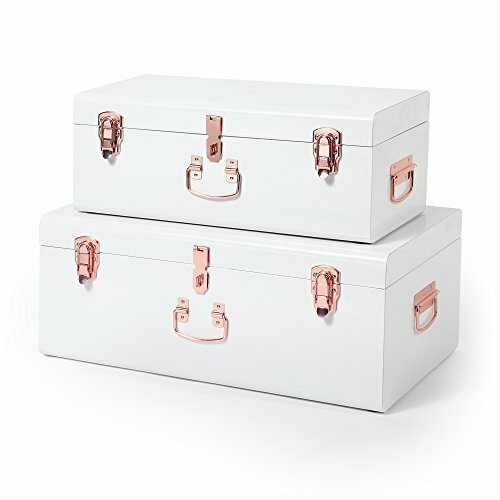 But seriously…trunks are great for storage. 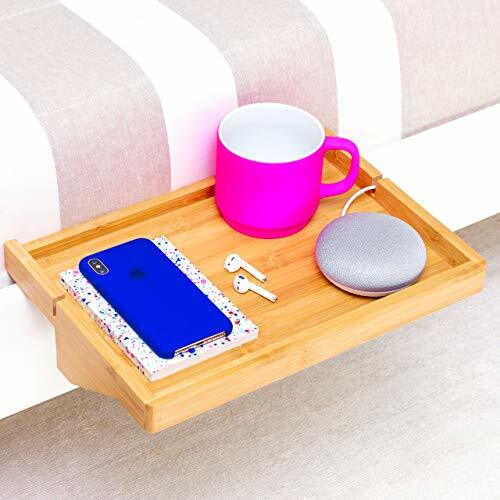 Use one for a nightstand, at the foot of the bed or for extra seating, and fill it with whatever you need to store. If you’re lucky enough to find a vintage one at a yard sale, great! But you can find cute new ones online, like the ones below. I love the sleek Beautify set with rose gold. They come in a few other colors too. The picture shows this in a bathroom, but it would work in a bedroom easily. 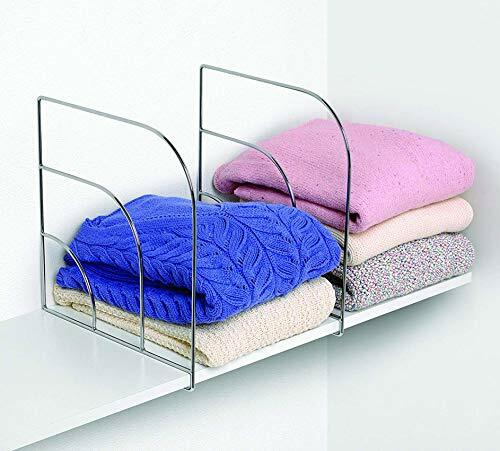 You could drape sweaters over some of the rungs and use S hooks and baskets on other rungs for storage of the current bedtime novel or other personal items. The instructions for making your own DIY ladder storage are here. In #20 above, we suggested pegboard for use in your closet, but it’s a smart solution for other storage as well. Attach baskets to catch clutter and pretty up the pegboard with some artwork here and there. You may not need a desk or dressing table in your small bedroom, but if you do, here are a few space saving desk solutions that could work for you. The best small bedroom ideas are the ones that help you save precious floor space. A wall mounted floating desk does this beautifully. What I love about this one is that it can double as a vanity table. This Fold-out Hideaway Desk is an awesome space saver! 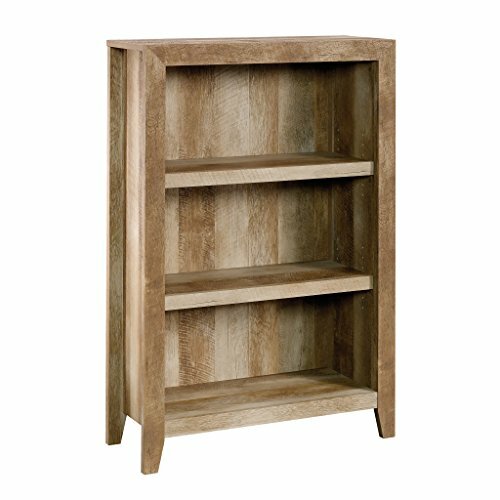 It tucks away when not in use, like a secret moving bookcase…well, maybe not just like that, but it’s pretty cool. A simple wall mounted shelf can serve as a small desk. I had one of these in my bedroom as a kid and did my homework on it. 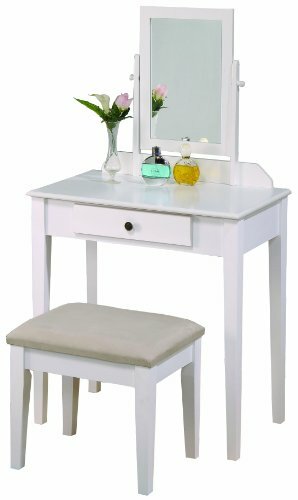 The picture shows it as a vanity in a little girl’s room, but the idea works for a desk space too. If you have a wide windowsill, consider using it as a desk. Or add a shelf to run the length of the window, for a faux windowsill and use that. Okay girls, is this slick or what? An over the door makeup vanity and storage all in one. 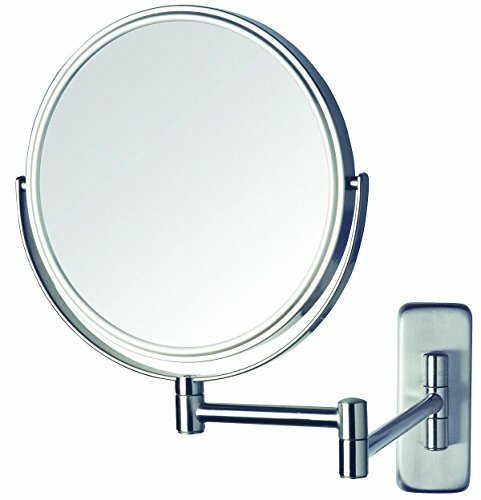 The vanity tray folds up and the whole thing closes up and hangs right over the door. That’s one of the best small bedroom ideas ever! 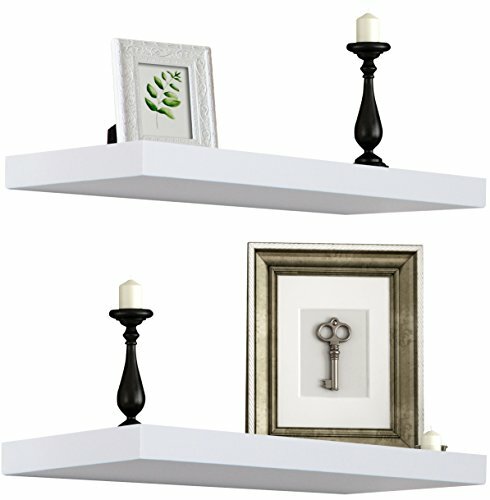 There is also an over the door jewelry storage product that is equally cool. 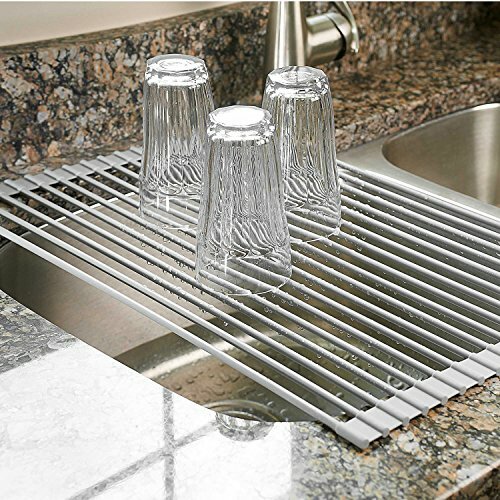 I mention both of these products in our space-saving gifts for moms article. A desk at the end of the bed is a clever layout for a small bedroom. Better yet, use a sofa or console table as a desk instead. They are narrower and longer and take up less space than most desks. I know, I know…again with the double duty nightstands, but when you have a small bedroom you really need to make those bedside tables multifunctional. 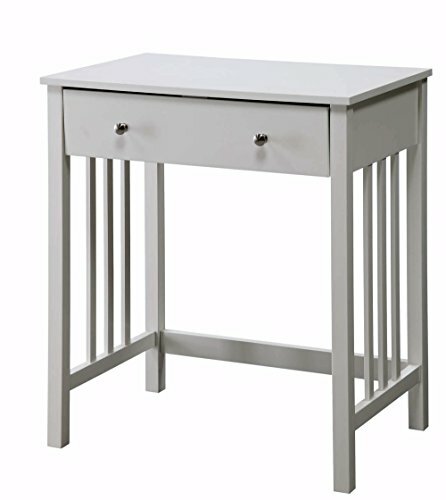 Use a small table like this Ikea one that has room for a chair and it can double as a small vanity or space saving desk. 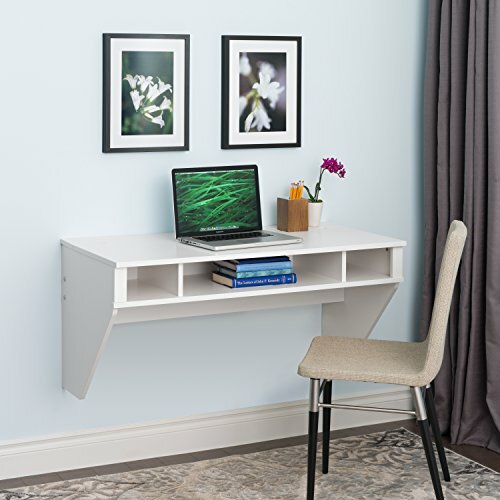 Turn a corner into usable space with a corner desk. Add some wall shelves for more storage and you have a great little home office space in your bedroom. 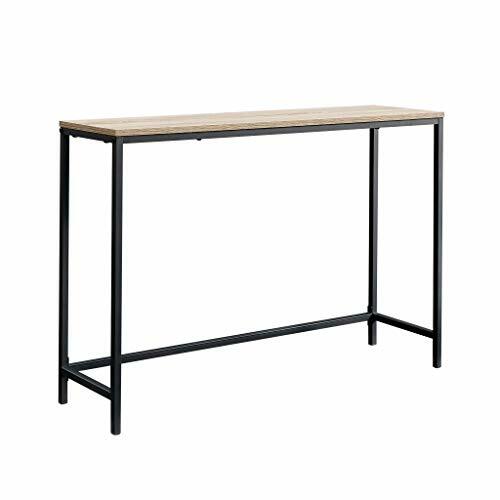 This is a DIY corner desk, but there are some really inexpensive corner desks available if you don’t want to DIY it. 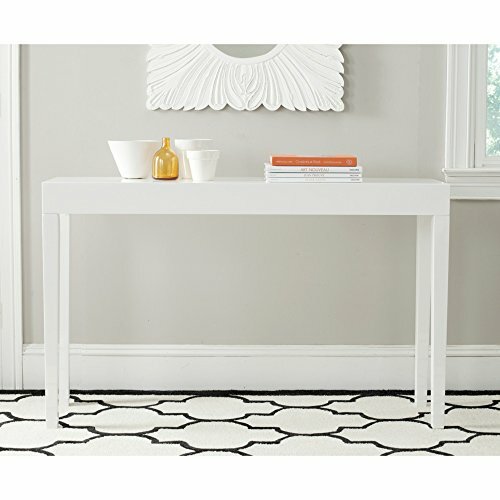 The Kings Brand Corner Desk comes in white or black. And then there is this cool L-shaped corner desk that rotates for multiple configurations and you can tuck away the L part so it takes up less room when you’re not using it. And did you notice in the pinned image above, how they positioned the desk next to the bed so it can double as a nightstand? Okay, okay, I’m finished with the multipurpose nightstand thing. The point is…no matter your bedroom size, there are all sorts of small bedroom ideas and tricks to help you make it both a comfy retreat and a multifunctional space.